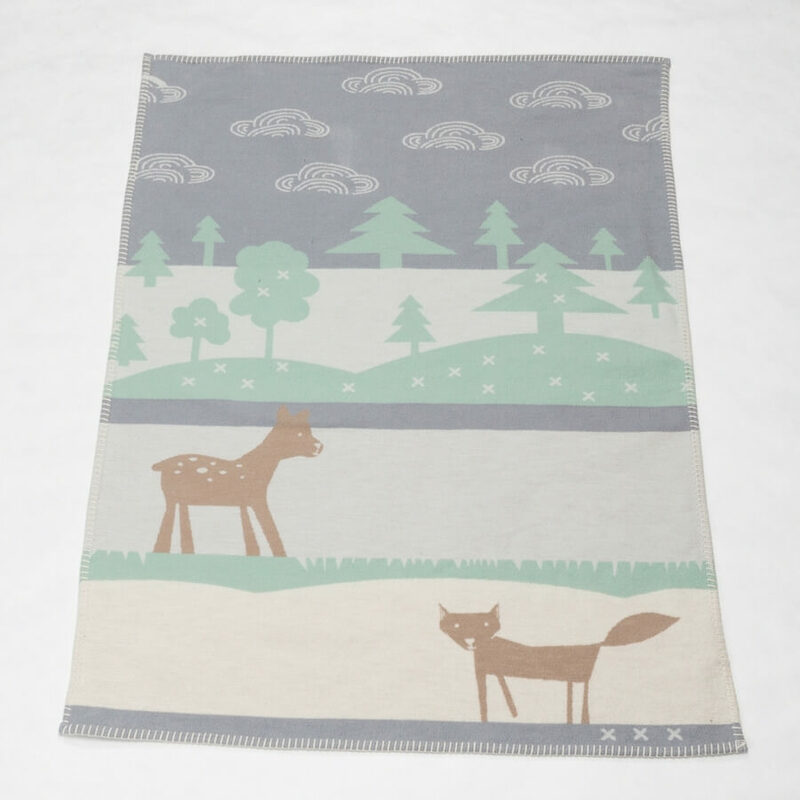 Bambi & the Fox is gorgeous organic blanket which features a lovely woodlands theme with a fox and deer against the backdrop of a forest and a cloudy sky. 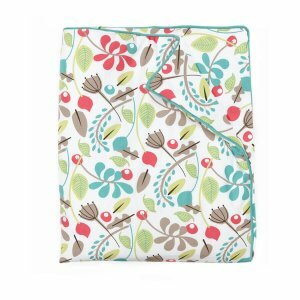 This cozy organic blanket will keep your baby and toddler snug and warm in the Winter. 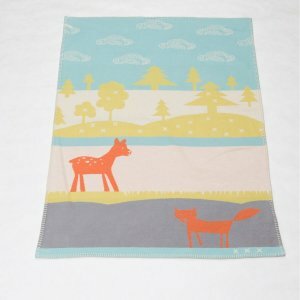 They make the perfect unisex gift for a new arrival or baby shower. They are great for lining the playpen, layering the crib, the stroller, or just making crawling on the floor more fun.